The financial strength of your pain management practice is directly correlated to timely billing and account reimbursement. 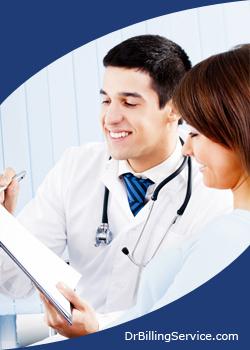 We have years of experience providing pain management billing services. Hiring a quality billing service is one of the most important decisions you'll ever make regarding the business aspect of your practice. It is crucial that your pain management billing company have the experience necessary to handle the complexities presented by pain management billing and modifiers. Why not allow 5 Star to give you the financial peace of mind you deserve? Please visit our homepage to obtain additional information regarding our services, references and other pertinent details regarding our pain management billing services. 5 Star offers comprehensive pain management billing services and collections. Computer system and software designed specifically for pain management specialists. Patient input, statements and follow up is included in our service. Full electronic claims and AR management is also included. We are large enough to handle multi-physician, multi-location practices yet small enough to give the personal attention your account deserves. A pain management billing company should increase your reimbursements. In fact, a pain management billing service should be more efficient and effective at billing than your own office. A pain management billing company should let you and your personnel focus on practicing medicine. Whether you own a private practice or work in a hospital or multi-provider facility, a pain management billing service can make your practice more profitable. According to industry experts, a claims adjustment rate of between 20% and 35% is considered good and acceptable. At 5 Star, our account executives have an average of eight years in pain management billing. Their knowledge, ability, and dedicated follow-up is why our adjustment rate is consistently lower - as low as 12% with Medicare. At 5 Star, we achieve AR rates for our practices that are higher than the industry average. Simply put, you and your practice will get a higher average return per processed claim. 5 Star Billing Services is more than a claims processing center, because we offer multiple benefits and billing services. Our state-of-the-art billing system generates accurately-coded claims daily and submits them electronically. Once your superbills are processed, payment can be received in as little as ten days instead of three months. Our clients reduce their office expenses by using our services and software – all you need is a PC and access to the Internet. Our practice management software is all-inclusive and is part of our standard service. There are no costly software updates or support fees. There are no hidden costs or additional charges. 5 Star Billing Services is unique in the field of pain management billing. We offer a complete business solution to your medical billing and practice management needs, and we do it all for one fee. All the medical billing services and benefits you receive are included, even your overnight mail for shipping your demographics. Our fee is below the national average. Our goal is to provide the highest return on your claims at a competitive price, without sacrificing service or patient support.